Happy Monday and the kickoff to my 12 Days of Blogmas, 12 Christmas related posts! I'm super excited to kickoff the series and I have a bunch of really fun posts coming up so make sure you're following along or check the Holiday tab often! 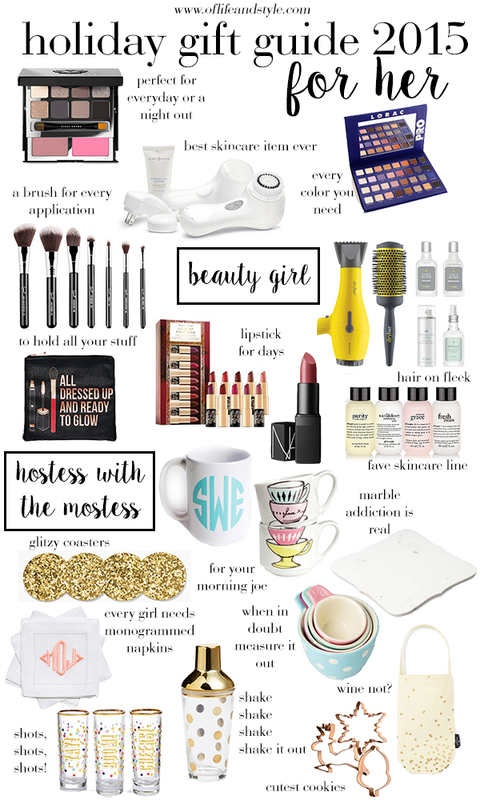 Today I'm starting us off with my Gift Guides! It took me hours to make but it's finally done and not gonna lie, I'm so proud of how it turned out! I stepped up my game from last year and really went all out. I've rounded-up over 100 items, all under $200, most under $100 and $150, for your best friend, girlfriend, mother, aunt, sister, boyfriend, brother, dad, uncle, cousin, teacher, co-worker, babysitter, lawn mower, employer and anyone else who needs a gift this holiday season. I've broken it down into 7 categories for Her and 3 categories for Him. There is something for everyone on here whether she likes beauty or entertaining or maybe is into interiors. Or he's a classy dude or into music, there's something for everyone. I hope you guys enjoy this and find it helpful navigating the holiday buying process this season! A lot of these gifts are things that I would enjoy receiving or that I would give to my family and friends. I know everyone is different but this is more of a guide, a starting point, a place of inspo for you! 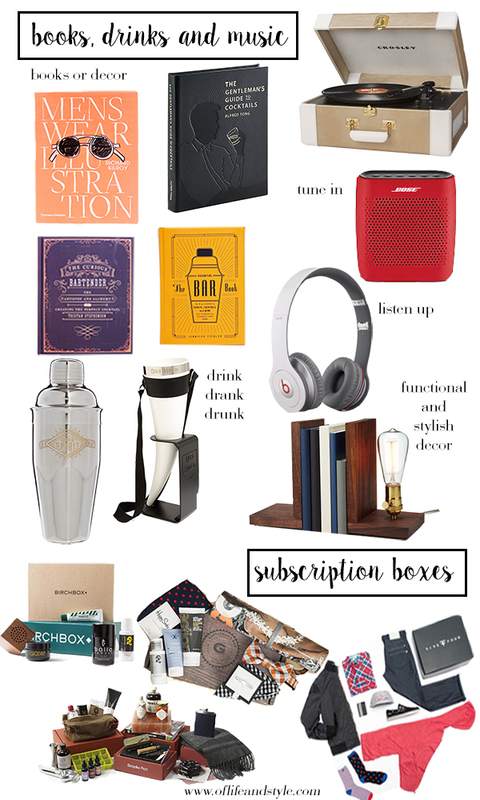 A great gift idea is giving a subscription box! There are tons of ones out there but I suggested a few of my favorites and one's that I've used before or that I've heard great things about. This allows the recipient to get to try out a bunch of different things! Plus who doesn't love getting packages? Some great places to also look for gifts are Marshall's/HomeGoods/TJ Maxx, Target, Kirkland's Home, Nordstrom/Nordstrom Rack, Kohl's, Francesca's, Forever21, H&M, ASOS, Ulta, Sephora, Old Navy and J.Crew as they might have more things in store than online. Buying for guys, in my opinion, is a million times harder than buying for girls. I feel like there's just less things to get a guy than a girl. I did my best to try and cover all different hobbies of guys. I think the only one I really left out was sports. #Oops. I don't think you can go wrong with clothes, grooming/beauty or something having to do with alcohol for a guy. I don't have a boyfriend and my brother is easy to buy for (I always get him a video game) so I have zero experience buying gifts for a guy. 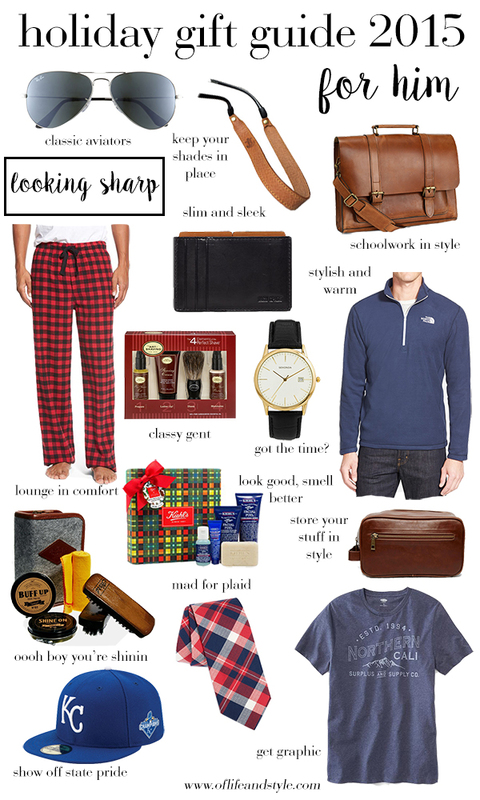 Here's some other places to look for some cool guy gifts: Marshall's/HomeGoods/TJ Maxx, Target, Nordstrom/Nordstrom Rack, Kohl's, Forever21, H&M, ASOS, Ulta, Sephora, Old Navy and J.Crew as they might have more things in store than online. 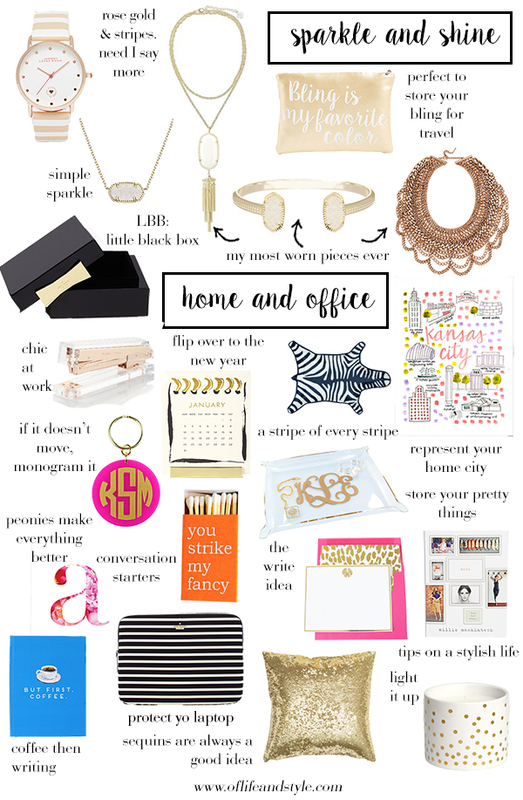 And giving a subscription box is fun and offers something different than the a typical gift. If I were a guy I'd love getting one! I really like the BeSpoke box! AAANNNNDD if you need anymore gifting ideas I have an entire page with hundreds upon hundreds and hundreds of gifting ideas/options.